Recently, I stumbled across a blog called Second Chances that was maintained (as it turns out) by a fellow colleague here at seminary. After some discussion, she agreed to feature me as the “guy’s perspective” in her blog’s ongoing discussion concerning Christian dating/relationships/you name it. Here’s our most recent discussion on the topic of guy and girl friends. Check it out! 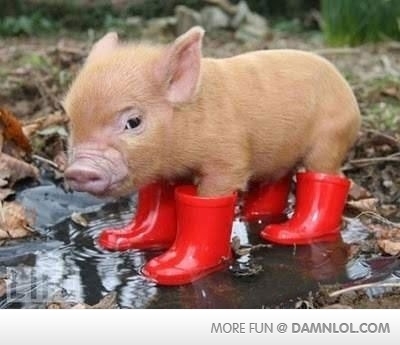 Also, here’s a picture of a piglet in wellies. 😂A pig in willies!! Love it!